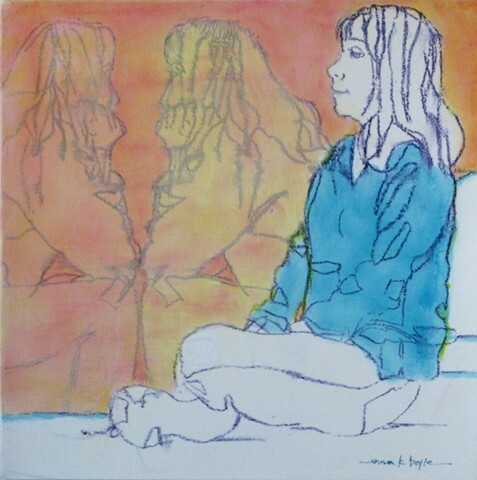 "Reflections" This painting began with a contour drawing of a live model. Sensitive lines capture several poses one after the other. I then painted the artwork with fluid acrylics on heavyweight paper which I had mounted on gallery wrap canvas. This artwork is ready for display, no framing is required. The sides are painted white.